Both of our clinics provide private GP services with sameday appointments. Our clinics are located in two Central London locations which are easily accessible from several tube stations. At our clinics, it is guaranteed that you will be seen by an experienced clinician. Our doctors are either UK-trained professionals or they have practised in the UK for, at the minimum, a decade. Our patients always come first right from the initial point of contact through to follow-ups. 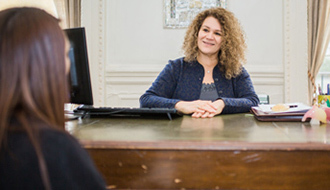 Our clinic times have been designed to suit working people and be flexible so that there is no need for you to take time out from work to see a doctor. What makes our clinic stand out? Give us a call today to book your appointment or book online. Doctor’s appointments are at affordable prices and the quality of our services is regularly monitored by the Care Quality Commission. Our on-site medical testing and same-day imaging appointments guarantee delivery of results in the fastest possible time. Will I be seen by a professional? Absolutely. Our staff are highly experienced and regarded within their fields. You will be seen by a UK-trained, professional doctor. Can I see a male or female doctor? We have both male and female doctors available, and can organise an appointment with one or the other, according to your preference. I do not live in the UK. Can I still see a GP for a check-up or referral? Yes. We welcome temporary residents and visitors.